Complimentary style is key to a good look, and Xandra is no dummy. 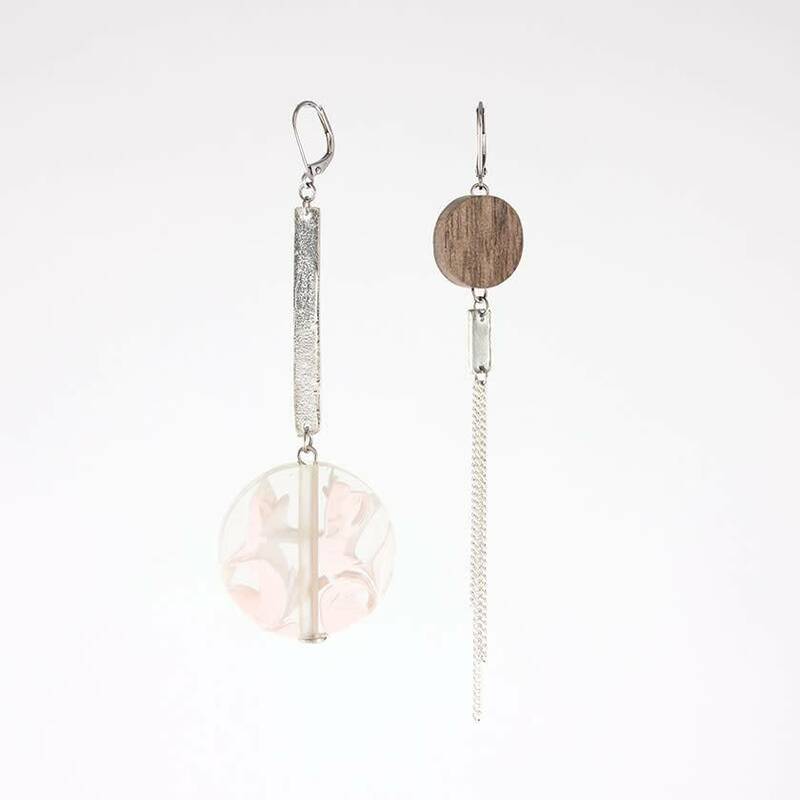 Circles of wood and rosy resin, solid pewter plate and slim chains—each side of these earrings echoes the other while staying unique and unrepeatable. 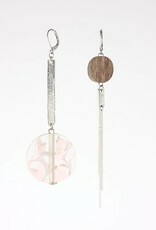 Material : resin, pewter, rhodium-plated chain, wood, french clasp in surgical steel.